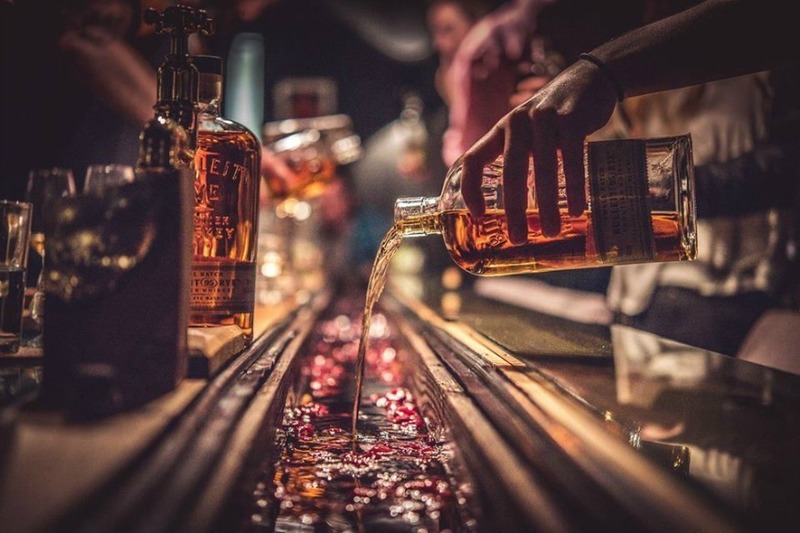 Whisky has never been more on-trend in London, with a whole host of specialised bars to cater for your obsession. Whether you’re into Indian, American, Japanese, Irish or Scottish – there’ll be a collection to suit you. This insane Shoreditch bar has two ‘whisky rivers’ flowing through a huge 18ft English oak tree trunk table. Not forgetting the whisky cabinets, which hold around 250 bottles and are organised by flavour. If you don’t fancy it straight, there’s a short whisky-focussed cocktail menu to keep you busy. The guys behind this place also own Victorian-style basement bar Worship Street Whistling Shop — one to check out if you’re into gin too. Scottish whisky fans, this is for you. Head to the second floor and behold the golden wall of 1,000 bottles, mostly from Scotland, and some from distilleries that no longer even exist. This place is Scottish all over, with crimson red walls and tartan seating — it’s just the setting to get stuck into the golden stuff. Note there’s also an oyster and a cigar room, plus a heated terrace (cue the tartan blankets). If slick, grand whisky bars aren’t your style, this relaxed no-frills locals’ pub in Borough could be more your bag — and it won’t drain your bank balance either. There are at least 130 varieties, with many doubles around the £5-£10 bracket. If you can’t decide what to go for, check out the ‘Malt Of The Month’, for something extra special. ‘The World’s Best Bar’ The Connaught has for years been renowned for its plush 1920s decadence and incredible cocktails. 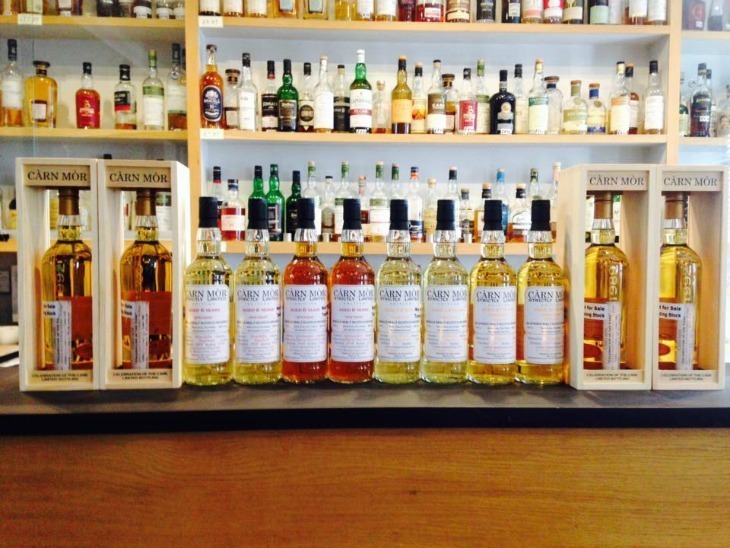 But more recently it's become known for its Whisky Concept Tastings too. The experience involves pairing a bespoke handmade chocolate with a top-notch whisky. The bar has also teamed up with The Dalmore to create a one-off Connaught Cask single malt, which you can try, or purchase as a bottle when you’re there. You’ll find it above The Vintage House Whisky Shop in Soho. There are almost 700 whiskies and an outdoor cigar terrace. You’ll need to be a dedicated whisky fan to gain access though, as this place is members only. Join up and you’ll also get free whisky tastings throughout the year and discounts on bottle prices. Head to London’s oldest whisky shop — there’s a bar with 250 whiskies from all over Scotland and the rest of the world. If you’re stuck for choice, order a tasting flight. Also, if you purchase a bottle you can stash it in the liquor lockers and come back for more another day. 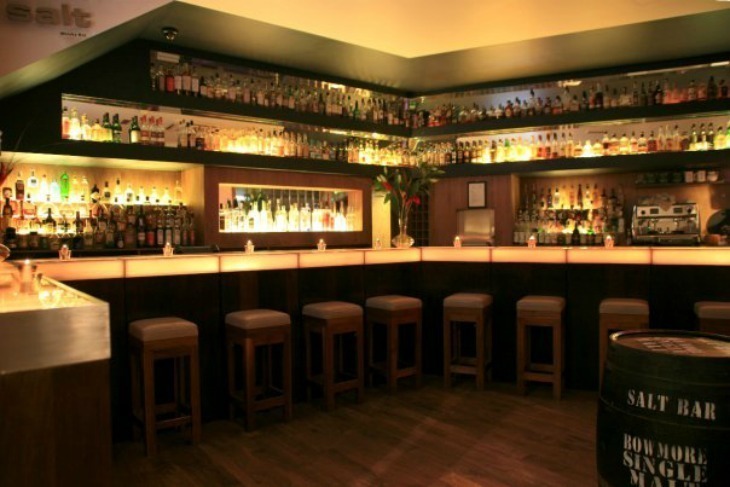 Make sure you also visit the secret cellar bar (The Vault). Enter through the hidden door in bookcase at the back. Down there you can tuck into a heady whisky cocktail list - at least 70% booze. 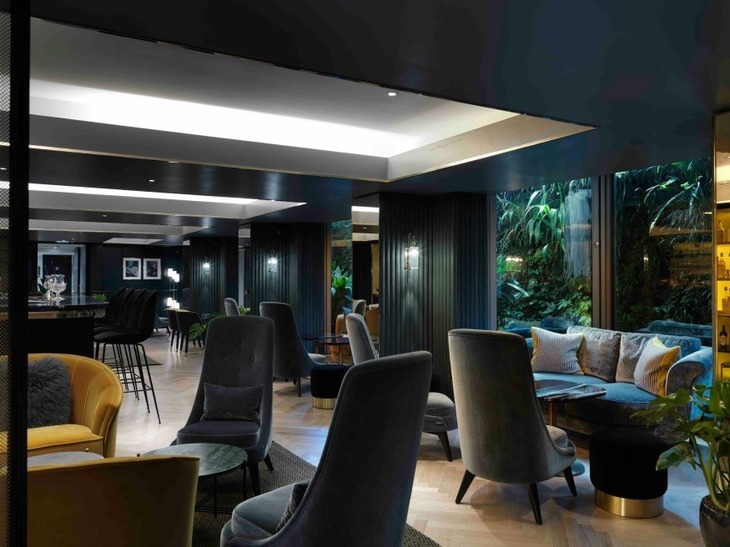 Inside this decadent five star hotel, you’ll find this well-stocked whisky bar; they’ve recently trimmed their collection to around 52, but what’s left are rare and special bottles including The Athenaeum’s own special blend. Whiskies range in price from £9, to £342 for a Glenvit 1984— so this is definitely the place to splash out on something special. The new-look bar has a swish, lounge vibe, with a view of what feels like a ‘jungle’ outside. If you need a hand choosing your dram, head bartender Michael Ball knows his stuff. Slick and moody. The bar at The Athanaeum. 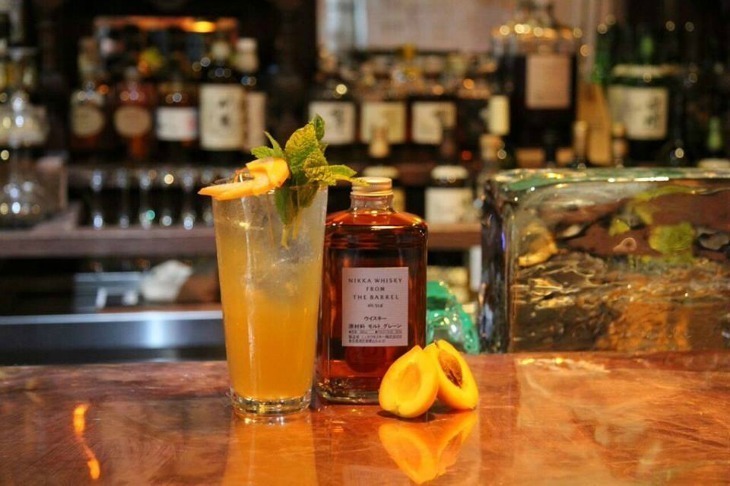 To fit with their Asian-inspired menu of charcoal burger buns and katsu curries, these guys have one of London’s biggest Japanese whisky collections, featuring a few exclusive rare ones like Karuizawa — all served with carefully hand-carved ice. Team it up with some Whisky Glazed Rotisserie Chicken or the Poached Asian Pear & McCallan Whisky Trifle, and you’re golden. Okay, this is when things get really serious. This member club has the largest collection of malt whisky in the world. The bottles all have uniform labels, so as not to distract from the taste. On the label is a long number – the first part relates to the distillery, the second bit stands for the cask from which it came. There’s also a quirky description, (our all-time favourite: the ‘whisky flavoured condom’). 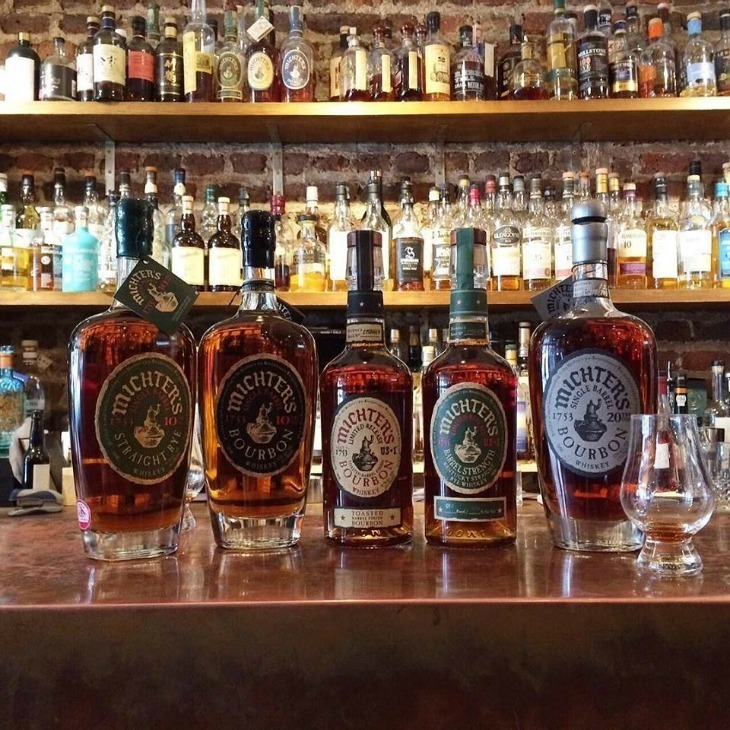 However the distiller remains a mystery – that one’s up to your expert guess work. If you’re really particular about your whisky, there’s water from different Scottish regions (said to bring out different flavour components of the drink). The place has a simple, no-fuss design – again, so as not to distract your eyes from the prize.